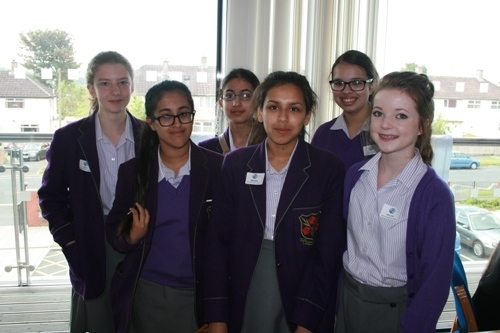 Nine Westholme pupils participated in a Sustainability Conference at St. Christopher’s C.E. High School on Wednesday 9th July. This was a challenging learning experience designed for ‘Able and Gifted’ students from Key Stages 3-5 Y9+. This was an opportunity to meet other young people, industrialists and representatives from local and national environmental organisations. Jessica Keenan, Hasna Ghafoor, Amaani Ahmed and Hebe Smith, members of the Westholme Debating Society, competed in debates about nuclear power, fracking and Britain’s energy future against a range of schools from Lancashire. 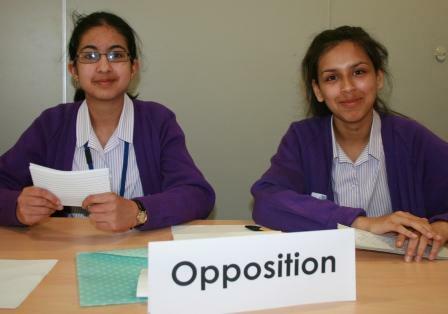 They reached the final in a nail biting debate against Hope Academy from Blackpool. Our team from Westholme argued eloquently and articulately for the motion that our future should be powered by renewable sources. Westholme won the debate and received praise from the Mayor of Hyndburn and all of the judges. Westholmers are Dedicated Followers of ‘Trashion’! Megan Collins, Amaani Ahmed and Ramsha Hussain entered a garment into the ‘Trashion Show’ at the Sustainability Conference. They produced an innovative design entitled ‘Read all About it’. The produced a two-piece outfit out of newspaper. They produced a wig, over-sized handbag and a bangle from recycled material. This garment was beautifully crafted and well put together. Therefore, it came as no surprise that this creative team won the competition! In another workshop, Cameron Clarkson and Rumana Master created an entire skirt and top outfit out of an old t-shirt; a superb attempt at ‘upcycling’ and a very creative response to the brief. Westholme pupils had a wonderful day, where they had the opportunity to utilise their skills, discuss controversial issues and meet people from industry. Our pupils had the opportunity to talk to Jamie Edwards, the Youngest Person to Achieve Nuclear Fusion and Sam Dewar, project manager of Hyndburn Wind Farm. Our pupils feel enriched by the experience and we hope to participate again next year.